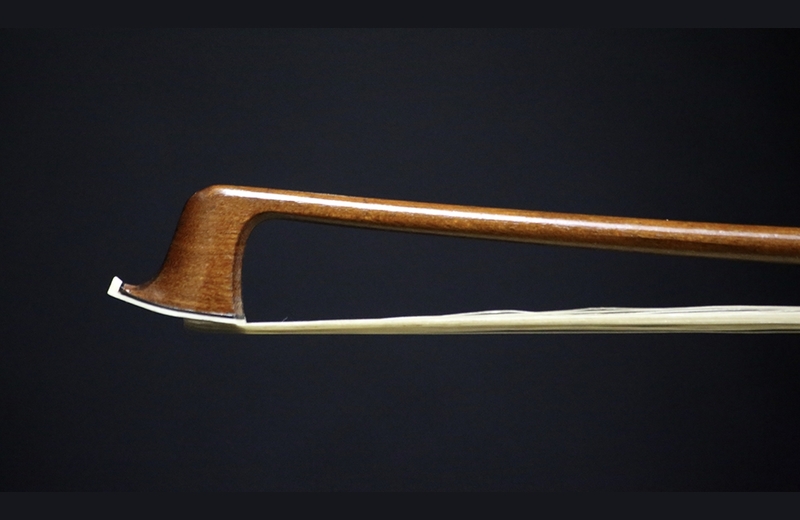 Description: The Nurnberger family of bow makers is most likely the oldest and longest running bow making family in the world. 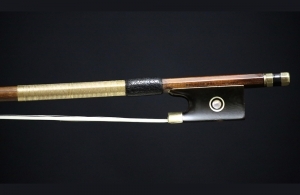 Their bows display top quality German workmanship. 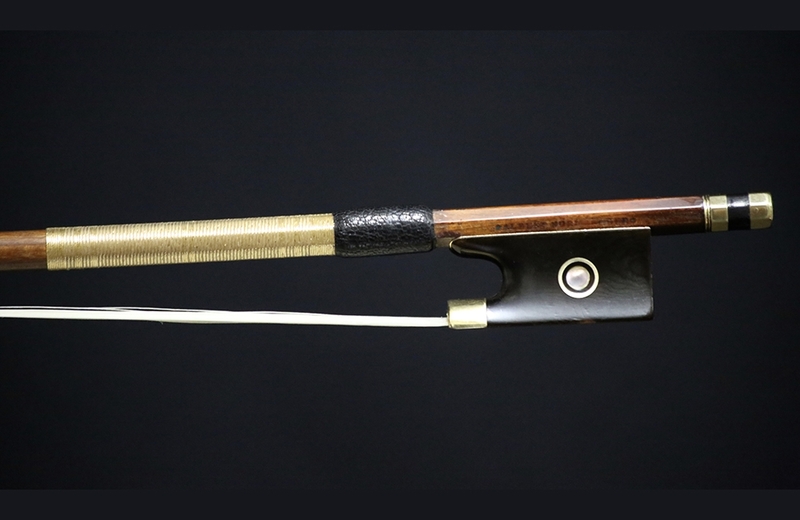 This particular bow is mounted with gold and tortoise shell and is currently in good condition. It produces a powerful, projecting tone. Weight: 61.7 grams.